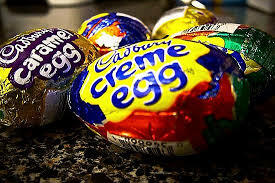 No sooner is Christmas over and Creme Eggs are back in UK stores in preparation for the Easter holiday. So, in celebration of this gooey sensation, here are 10 Cadbury’s Creme Egg facts you will want to gobble up. 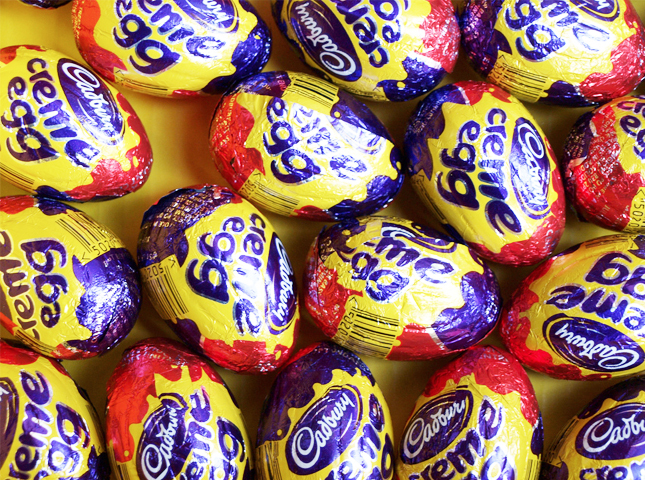 If you were to stack all the Creme Eggs made each year on top of each other, the pile would be ten times the size of Mount Everest. 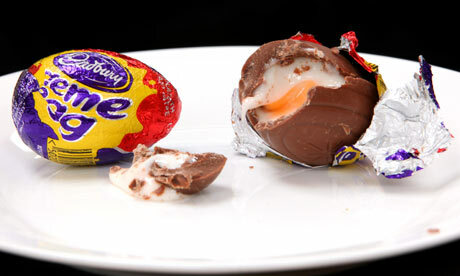 Jamie Jiggs from Lancashire, England, holds the world record for eating a single Creme Egg in 8.65 seconds. 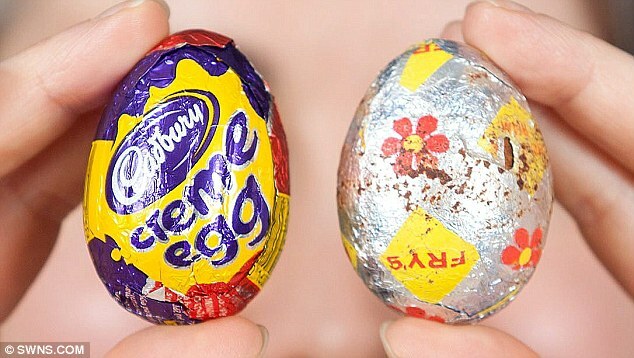 Many people, especially in the UK, often complain the Cadbury’s Creme Egg is smaller every year. 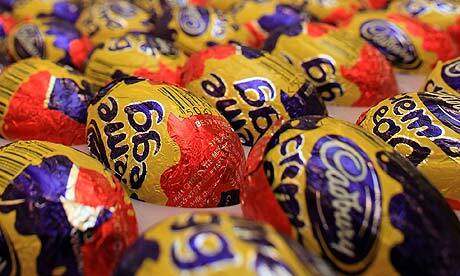 When in actual fact, British Creme Eggs are now 1g heavier than they were in 1977, as they currently weigh 40g. However, it is bad news for US customers, as American Creme Eggs are now 34g, which means they are 5g lighter than they were in 2005. 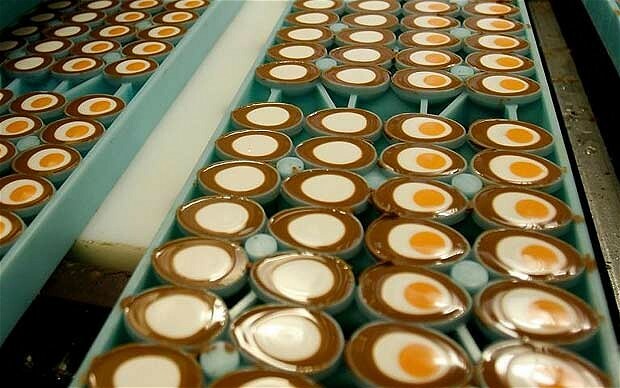 Cadbury’s make approximately £200 million per year in Creme Egg sales in the UK alone, which is over 3 a year per citizen. 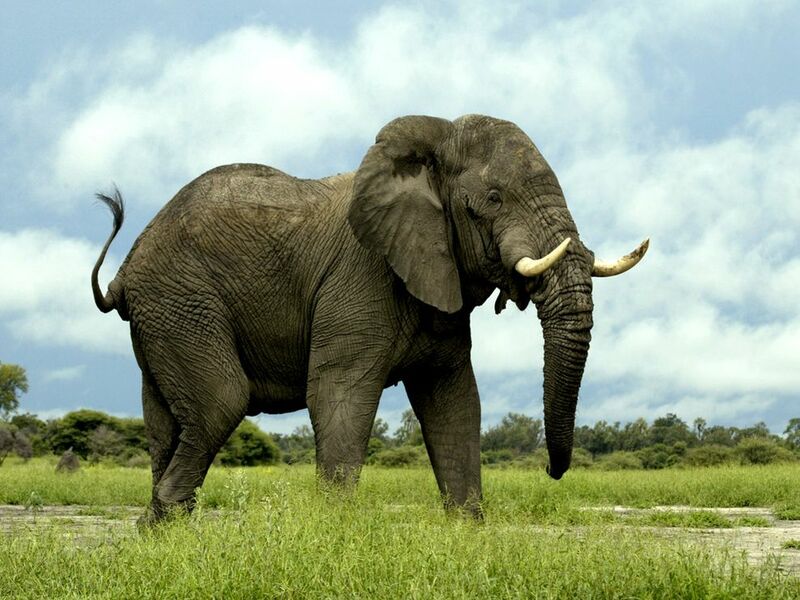 600,000 Creme Eggs are made in 12 hours at the Cadbury factory, which is three times heavier than an elephant. The first filled eggs were born in 1923 by the Cadbury Brothers, but the Creme Eggs we know and love today were introduced to stores in 1963, but were initially known as Fry’s Creme Eggs. It wasn’t until 1971 that they renamed them “Cadbury’s Creme Egg”. 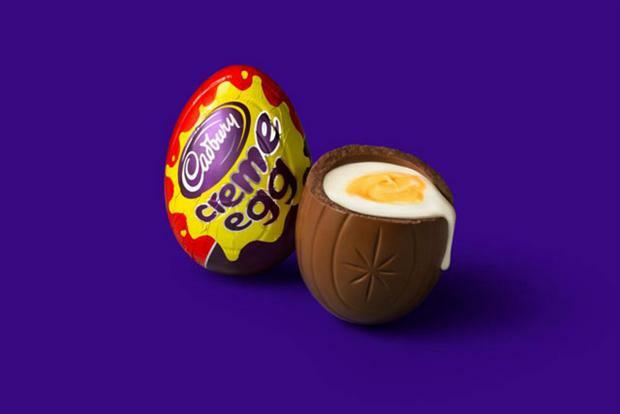 As if the original Creme Egg isn’t amazing enough, Cadbury’s has offered another 25 varieties of this egg-filled favourite over the years, including Caramel Eggs, Jaffa Egs, Orange Creme Eggs and more. 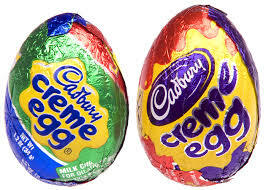 The colour green once featured in the Creme Egg packaging, but was replaced by blue early in the 21st century. The colour green is only present in the US packaging. We all love a good Creme Egg between New Year and Easter, but it appears the delicious chocolate eggs don’t love our waistlines or teeth as much, as each Creme Egg is 180 calories and is 28.8% of our guideline daily amount of sugar. They taste good, though! 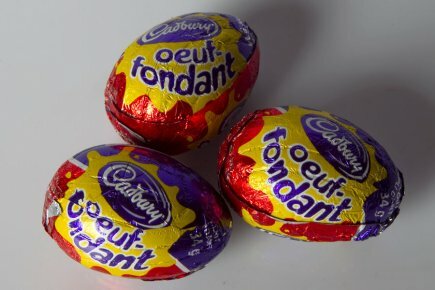 What are Creme Eggs called in Canada? Oeuf-fondant. Love chocolate? How could you not? Have a gander at these 10 Mouth-Watering Cadbury’s Facts. 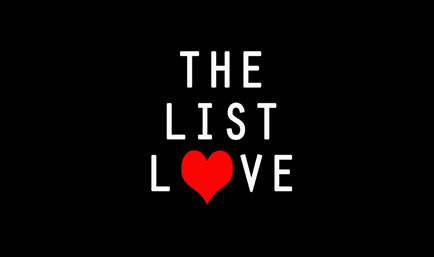 Follow The List Love now on Facebook, Twitter and Google+ for more amazing top 10 lists.